New Year Eve 2013 New Year is considered to be an important time by the Canadian people, and therefore, grand preparations go into organizing mush grander New Year celebration events. ACE ENT. 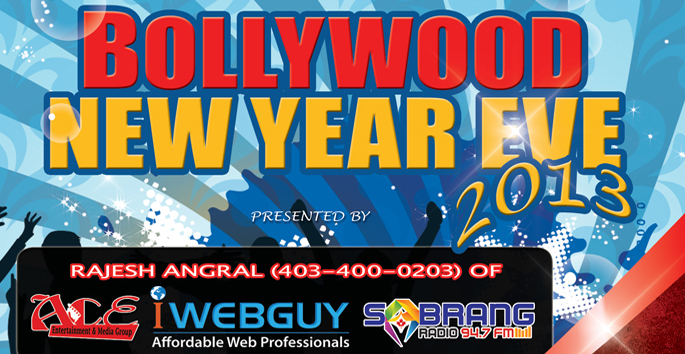 & MEDIA GROUP, IWebGuy & SABRANG RADIO presented New Year Celebrations in Calgary. The Show was Held in The Mangolia, 900 - 5075 Falconridge Boulevard NE, Calgary on the beautiful eve of 31st December 2012.